Welcome to Beacon Street Area Residents' Association (established in 2001). Situated at the heart of Lichfield City, the area is home to the Cathedral which was created in the 7th century when Bishop Chad moved the seat of his diocese to Lichfield. It is renowned for its three Spires known as the “Ladies of the Vale”. 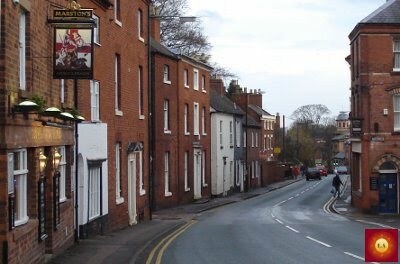 BSARA is a proactive organisation that is involved in local issues on behalf of its member residents in Bird Street, Beacon Street, Stafford Road and the side roads leading off it. Please join BSARA if you live locally. BSARA Speedwatch together with SSRP regularly monitors the speed of local traffic to encourage motorists to drive within speed limits. As a member of the Friends of Lichfield Historic Parks group we support Beacon Park and its ongoing development, facilities and events. BSARA liaises with the local authorities and public services to resolve matters reported to us by our members that affect our local environment. For local govermernment contact details, see Frequently Asked Questions. With residential development in Lichfield District creating pressure on the local Infrastructure, BSARA became a founder member of the Lichfield Alliance and is participating with the consultations for the Local Plan and the Public Enquiry. This will determine the development needs for the district until 2028.